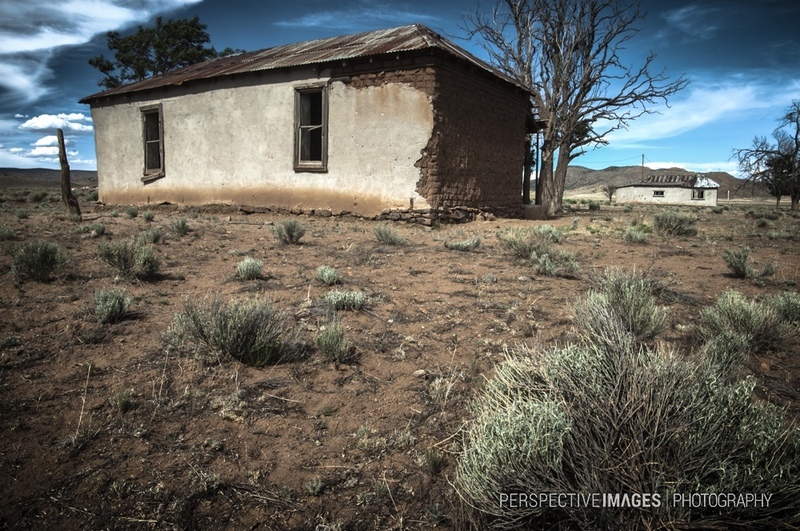 The weather beaten and abandoned ranch workers quarters of a New Mexico homestead in the high desert plains. This is the outside view of yesterdays window view post. The Plains of San Agustin are a barren environment, the dusty, desert sage covered land supports very few head of cattle per acre. Read more about these remote lands. Awesome shot. Love the combination of blue sky and earth tones.